"We have lost everything. My parents escaped to the terrace with a dead cell phone and our education certificates." 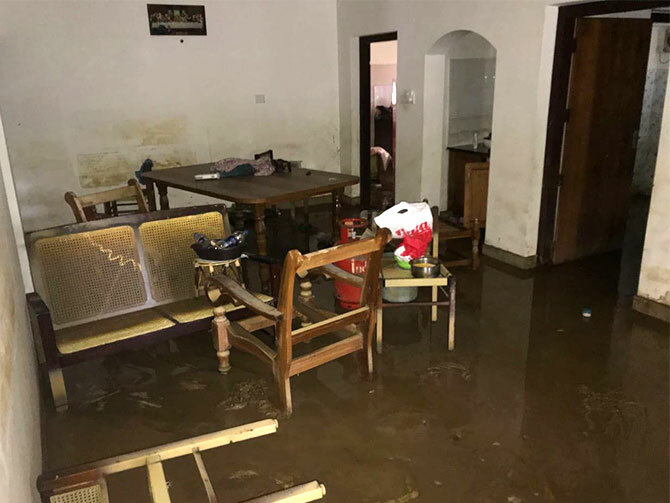 Shinju Thomas, a B Com student, tells Rediff.com's Archana Masih what the floods did to her home. After the flood waters receded, the home that Shinju's parents built 25 years ago is covered with wet, stinking, mud. The family has spent three days cleaning the home, but it is far from done. There is no water in the taps because the old well that was the source of water is covered with slimy mud. It will take months for the well to be cleaned. The Thomases have been borrowing water from a relative's tank to clean up their home and make it habitable again. The utensils were washed with Dettol, but the furniture, television, their workshop of motors parts, car -- everything is destroyed. Many people discovered snakes in their homes when they returned after the floods, but Shinju's family was lucky not to encounter any deadly reptiles. IMAGE: The floors were covered in mud. The furniture and household items have been destroyed. "We have lost everything. Our entire home, up to the first floor, was under water. 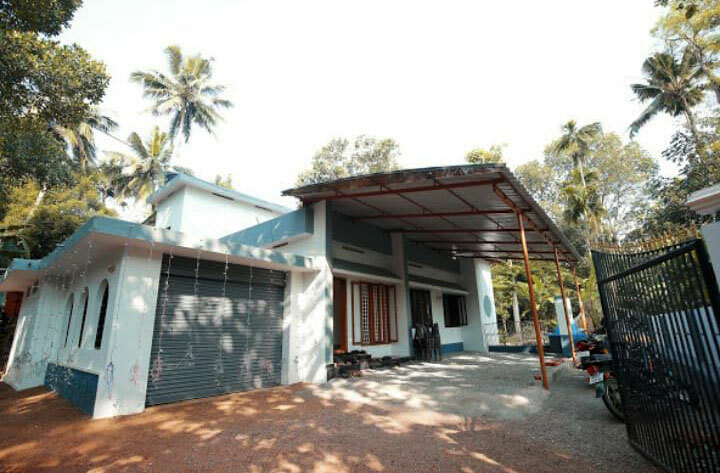 My parents escaped to the terrace with a dead cell phone and our education certificates," says Shinju, a B Com student, who lives in a hostel in Kottayam. She only got home to Kozhencherry, Pathanamthitta district, after the roads were clear and the buses were back on the road. 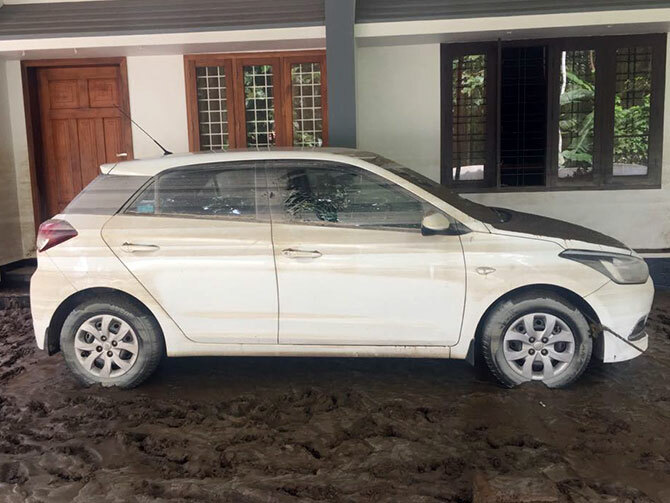 Her father Raju Thomas and his wife took refuge on the terrace and stayed up all night as it rained relentlessly and the waters kept rising. There was no electricity. There was no help in sight. They feared the worst. With no news about her parents, Shinju, her married sister and their relatives were in panic. They made calls to whoever they could -- the district administration, rescue services, sent e-mails to the Indian Army. The cry for help was answered. The next day, soldiers from the Indian Army rescued the Thomases in a boat. "They cannot explain in words how relieved they were on seeing the boat sail through the front gate of our house that day," says Shinju. The boat dropped them to a relative's home situated on higher ground. "My parents are still in shock and it is like we have to start all over again," says Shinju over the phone from her home. IMAGE: The family's car was under water. The entrance to the house is covered with wet, slimy, mud. 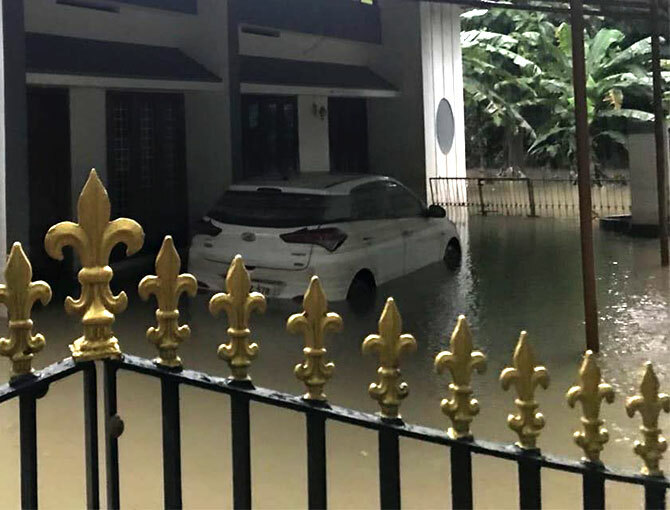 The land telephone line and electricity have been restored as people come to grips with the loss and destruction left in the wake of the Kerala floods, estimated at over Rs 2,000 crore (Rs 20 billion). IMAGE: The Thomas home as it was earlier. This photograph was taken during their elder daughter's wedding. "We have to re-make our home again. The furniture, beds, appliances etc cannot be used again. It is going to cost us a lot of money, and we don't have all that much," says Shinju. "We will do it slowly. Bit by bit," she says as she prepares to return to the college hostel.